New York passed a bill to ban gay conversion therapy in the state on Friday. The measure to strike the dehumanizing and controversial practice of “curing” people of their homosexuality from the state earned nearly unanimous support from the legislative community. Only four senators voted against the bill — one of them was Kenneth P. LaValle, the representative for most of eastern Long Island and namesake of Stony Brook University’s sports stadium. Voting to support conversion therapy is infinitely more harmful than voting to oppose gay marriage. Opening up marriage laws was a crucial matter of social equality, but conversion therapy attempts to deny LGBTQ people their right to exist. It is an affront to basic humanity that has put nearly 700,000 Americans through hell, some of whom never came out the other side. Rejecting an opportunity to rid New York of the practice is unconscionable. If this was a stab at a Cuomo-sponsored bill from the Republican senator, then it’s a sickeningly inhuman display of partisan politics. That doesn’t seem to be the case, but the real motivation might just be boilerplate bigotry. 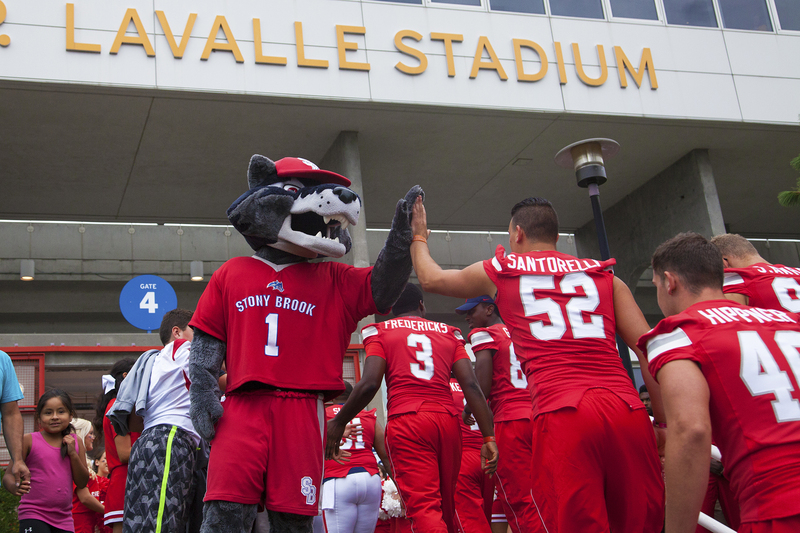 While LaValle’s true motivations may be unclear, Stony Brook University’s response is simple and obvious: Kenneth P. LaValle Stadium needs to be renamed, and any financial ties the university maintains with the senator must be severed. A webpage about the stadium on the Stony Brook Athletics website says the venue was named “in honor of the New York State Senator that was instrumental in making the stadium a reality.” There is no debate here; the school is honoring a man who at the very least voted down an attempt to allow gay people the right to be without pseudoscientific persecution. It cannot continue to do that and claim to support its LGBTQ students, staff and faculty. There are a million different ways to call that “no” vote evil, but Stony Brook’s response could be held up by the millions of dollars LaValle has helped raise for the school over the years. Every cent of that money is tainted by the scourge of conversion therapy and LaValle’s failure to help end it. No contribution could be worth the suffering the technique has caused. The question the university needs to ask itself is simple: at what price do we offer our soul? Rename the stadium later if you have to (naming it in honor of the 1969 Stonewall Riots in Greenwich Village that marked a major turning point for gay rights in America would be nice … plus Stonewall Stadium just sounds cool) but get rid of the name now. Call it Stony Brook University Stadium for the rest of the year, name it after the Corned Beef Sandwich at Delancey Street, nobody cares. That’s not the important part. Whatever needs to be done to completely divest from LaValle needs to be done as quickly and as strongly as possible. To do anything less would be a slap in the face to the campus’s LGBTQ community, a clear signal that the university values finances over respecting the rights of its student body. This is bigger than money.